Our committee is comprised of a mix of locals with a tremendous amount of collective experience, happy to volunteer their time to ensure the club runs smoothly. Profile: I learned to swim at primary school and thought I was ok at it, until I had some lessons in about 2005 and got to compare myself to some real swimmers. Suffice to say, I have improved a lot since then and now really enjoy the opportunities the club offers to improve my technique and to maintain my fitness. Outside of swimming I practise law at a firm in the CBD and play piano. Profile: Growing up in Devonport and then travelling/living overseas has engendered my deep appreciation for the place and people of Devonport. In particular a love for sailing and swimming in the seas around us which my wife and I are passing on to our children. Only just staying ahead of my wife in sea swims, I’m looking forward to swimming these with our children too. Meanwhile there’s work to do on my stroke, and fitness …. Profile: I have been swimming since I was born! 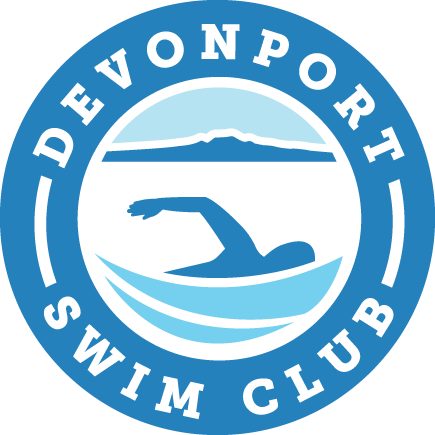 I joined the Devonport Swim club when I was 8 and have been a member since. I have lived in Devo my whole life and love the community we have here! I am currently a surf life guard at Piha and compete in the surf life saving competitions. I also enjoy the ocean swim races such as the Beach Series and Ocean Swim series. I encourage anyone who is a keen swimmer to have a go at the Beach Series or at least one ocean swim. No matter what level you are, beginner or competitive swimmer, I guarantee you will feel like you have achieved something once you have finished! I’m sometimes spotted swimming in the ocean, though I realise that the only way to get faster is to increase the pool training. Next year perhaps! Qualified as a ski and karate instructor in Europe, and former club tennis player. At the DSC I am mostly involved with open water event marketing and organisation. I am originally from Southland and swam competitively from age 7 through Club Murihiku, NZ age groups, nationals, ocean and surf lifesaving with Club Pacific in Napier and triathlon back in the day. I moved to Los Angeles in 1992 and joined the UCLA Bruin Masters Team competing in US Masters pool and open water events attaining multiple top ten age group rankings. I joined DSC in 2014 and enjoy the team spirit and camaraderie we have and the wide range of events and options locally, especially the ocean races and local Swim Trekking.